Masterful in both tradition and innovation, our work at Robin Sacks Decorative Painting fuses the rich history of decorative finishing with the vitality and rhythm of the modern world. 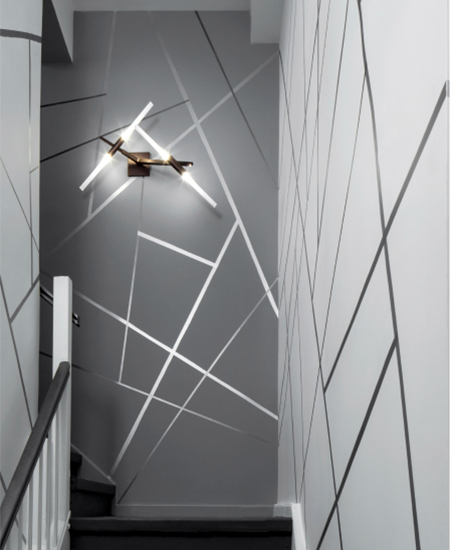 The depth and span of our expertise offers the client a full range of finishes from which to choose, including gilding, plasters, murals, mixed media and faux finishing. Established in 1996, our services provide custom crafted surfaces for any interior or architectural project. As a full service company RSDP will meet all of your decorative painting needs on walls, floors and furniture. We take great pride in finishing projects on time and will meet the most stringent deadline.